Jennifer is a junior associate in LMR’s civil litigation practice group. Her practice largely comprises of personal injury, employment litigation, and corporate/commercial litigation. Jennifer is fluently bilingual and serves her clients in both French and English. 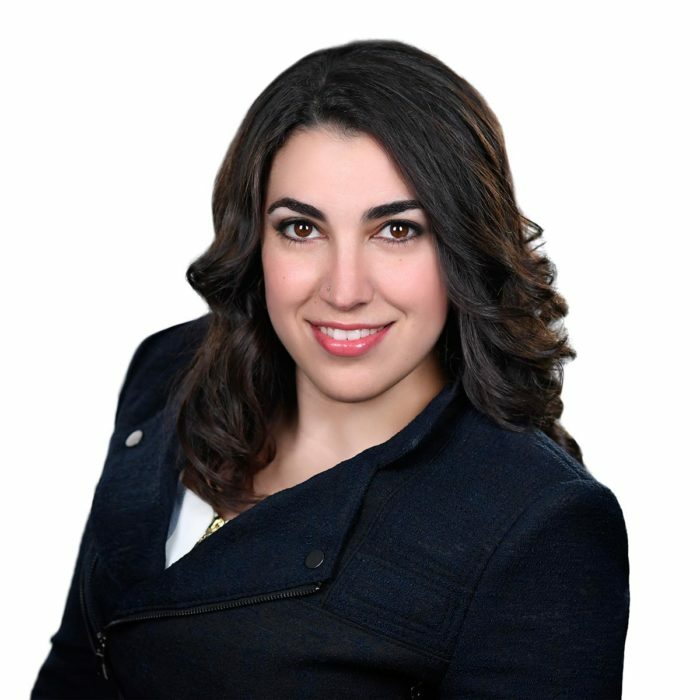 Following Jennifer’s graduation from the University of Ottawa’s French Common Law program, she completed her articles with Low Murchison Radnoff LLP, focusing on litigation. Upon her call to the bar in June 2015, she practiced in Lanark County where she was fortunate to delve into a broad range of legal issues for individuals, corporations, and institutional clients alike. This exposure has taught her how to develop creative solutions to her clients legal issues and has resulted in her pragmatic approach to litigation. Jennifer grew up in Montreal, where she obtained a B.A. in journalism and communications from Concordia University. She freelanced as a news researcher for CTV’s local news station in Montreal, which gave her an opportunity to field produce at the Quebec provincial election in 2012 and again at the NDP Policy Convention in 2013. Jennifer is a member of the Law Society of Upper Canada, the Canadian Bar Association, the Association des juristes d’expression française de l’Ontario, the County of Carleton Law Association, the County of Lanark Law Association and the Advocacy Club. When she isn’t in the office, you can find Jennifer either on her snowboard or at a country music show. Prior to law, Jennifer was immersed in the action sports industry. She published pieces for the now-defunct SBC Media, which formerly held a number of magazines, including Snowboard Canada Magazine. She also provided social media and PR services to the organizers of the national snowboarding event in Mont Saint-Sauveur known as “The Shakedown” from 2008 to 2013.